What is the Difference Between Conventional Projectors and LED Projectors? Practically no one gives an audio-visual presentation to a thousand people today without the help of projectors. 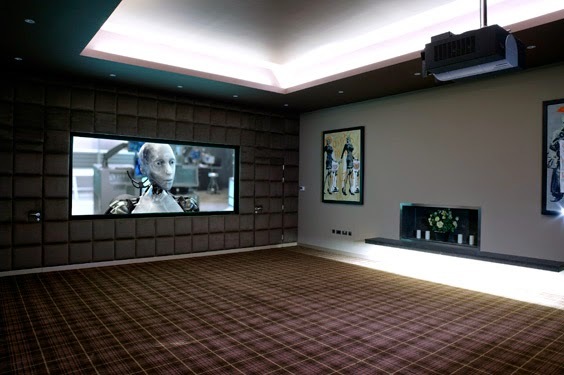 Ditto, at least, for couch potatoes who feel that the biggest television sets in the market do not a home theatre make. Nowadays, projectors run the gamut from cellphone-like devices to powerful corporate automatons. At any rate, users mostly have a choice between projectors powered by lamps and light-emitting diodes (LED). For the longest time, projectors have operated with lamps, their light bulbs improving over the decades from metal halides to UHP (ultra-high performance) mercury. In recent years, however, semiconductors have made inroads into the design of projectors. Today, projectors are in the grip of a LED revolution, while scores of others stick with lamps. This overlap in lighting technologies has led many a consumer to ask: What does one have over the other? Ineluctably, LED-lit projectors last longer than those powered by mercury lamps. The former could shine for at least 10,000 hours, compared with up to 4,000 hours for the latter. LEDs are designed to run the course of the projector. In other words, LED projectors are very cost-effective, in terms of operation and maintenance, in the long run. With a LED projector, you need not get anxious about the expense of replacing the light source, because it simply fails less frequently. Ecologically, LED projectors are winners. LED lighting systems are famously energy-efficient. In fact, more and more LED projection technologies run on solar power and battery. Ever efficient, LED projectors also do not need protracted periods of warming up and cooling down. LED projectors are also capable of displaying a vast palette of colours, not to mention saturated, stable outputs on the screen. The best kind is a projector that utilises RGB (red, green, blue) LEDs. LED takes it upon itself to perform functions that would otherwise take extraneous parts in UHP projectors. In short, projectors that use LED as light source tend to be handy. They even call to mind mobile phones in their mini, micro and pico sizes. There is still no denying that lamp-based projectors are far, far brighter than LED-based projectors—full stop. For all the advances of LEDs right now, they still radiate relatively scant light compared with the blaze of a UHP lamp. To cast a vivid image on the screen, a projector needs to produce 2,500 to 3,000 lumens of brightness. Existing LEDs produce a measly 500 lumens or so. Granted, you can always turn off the lights in a room to bring out the brightness of a LED projector. However, this poses a dilemma in business or academic circumstances, when rooms are not dark enough, undermining the clarity and vibrancy of imagery. This is no problem for lamp-based projectors. LEDs pale in comparison to the lamp of an average UHP projector, which shines bright with the starpower of 2,000-5,000 lumens—brilliant enough to overpower sunlight in a room. A 150W lamp can supply ten times the brightness of a car headlight. Many would be thankful for the rise of LED projectors, whose longevity makes them good investments, even though that would mean shelling out a comparatively large sum of money at once. They are also good to have for their more colourful, richer pictures. Finally, their sustainability makes a selling point to concerned citizens. Notwithstanding their implicit disadvantages, conventional projectors will not go out of demand in the foreseeable future. LED projectors are still nowhere close to the sheer brightness of a UHP projector, and for many people, there really is no compromising brightness, whether it involves watching movies or delivering business proposals. For these and other reasons, the UHP projector is here to stay.